This project was a toughy. Not only was this my first ever Burning Man, where, never having even gone camping before, I’d live self sufficiently in the desert for two weeks, but there was a comedy of errors that occurred during this project’s build. The largest of these issues was that the team that designed the lighting system did not properly design it for a life in the desert elements, and, two weeks before we left for playa, basically stepped away from the project. Our crew was a team of non-electrically skilled humans, and I was the only one who had the knowledge to try to complete the lighting system. However, I also had a full time job. 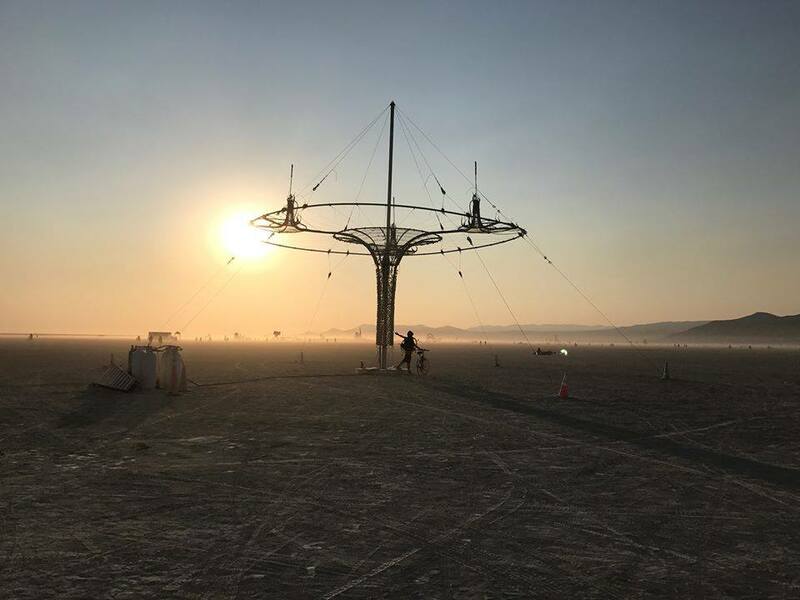 So, we ended up bringing a non-working sculpture to playa and hoping beyond hope that we could get it going during dust storms, 109 degree days, and no shade. I was lucky enough to gain the help of some other electronically skilled folks out on playa, but even with the help of experienced others, we were only able to get one small portion of the lighting system working for one night. Beyond anything, Light Years Away was a learning experience and something that left me proud of the hard work that I put into try to salvage something that would never have worked. The entire team of people who built this sculpture were amazing folks who came together and created a gorgeous aluminum sculpture. During the day, it was a sight to behold. I don’t know the future of Light Years Away as a sculpture, but I do know it will live with me forever as the experience, knowledge and skills I gained during my time on the playa.